Easy to make and suitable for fish and meat, both summer and winter. Rinse the cauliflower and cut it into smaller chunks, including the stalk. Blend it into grains in a food processor. Heat the ghee in a sauté pan and fry the chopped onion. Add the bell pepper and let it sear for 5 minutes, stir occasionally. Then add the cauliflower grains and mix well. Stir constantly and add the rest of the ingredients. Season and let it cool down. This recipe is perfect for getting rid of left-over vegetables such as cherry tomatoes, carrots, spring onions and fresh herbs or fruits like apple and fresh apricot. This entry was posted in Soil on 12/12/2013 by tine. Do you also love french fries but have to live without them? 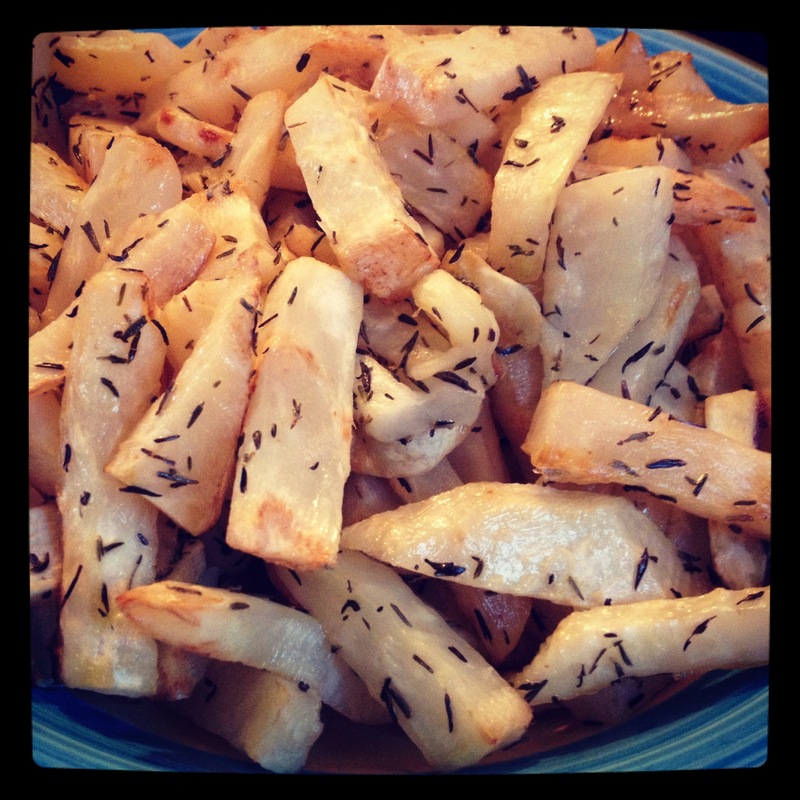 After trying almost all vegetables, then these will stay my favorite ones – even if I could choose regular fries .. This entry was posted in Soil on 10/12/2013 by tine. 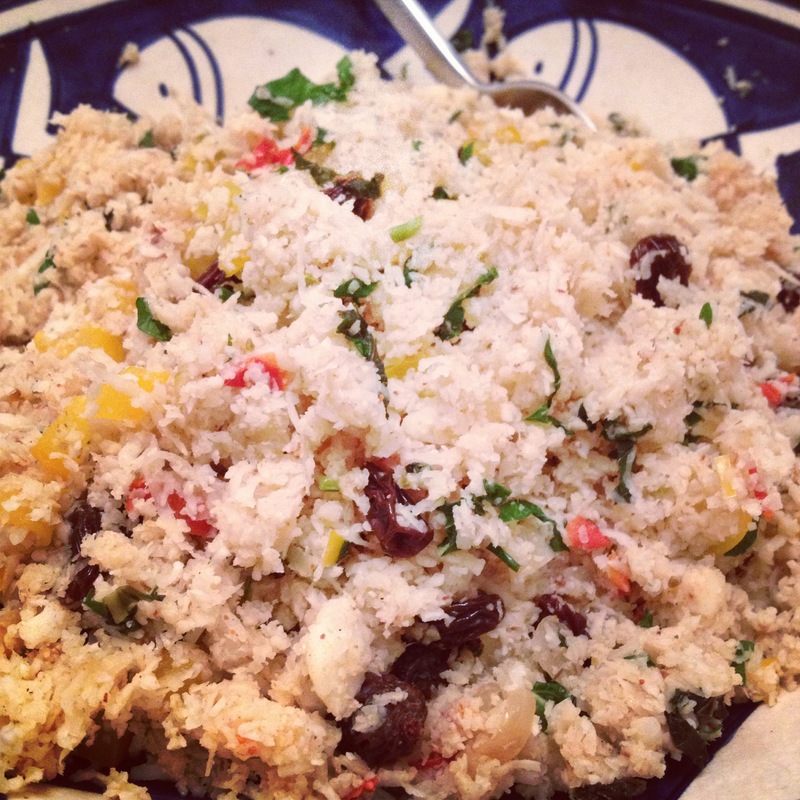 There are several ways of making cauliflower rice, and after a couple of experiments, I think I have now made my basic recipe that I will base my future developments on. Grate the cauliflower on the holes of the large grater. Tip – hold on to the stalk and grate the flowers first and finish with the stalk. This way it doesn’t fall apart. Leave the rice in boiling water with some stock or bouillon for approx. 5-7mins, until they are al dente. Drain the cauliflower for water. 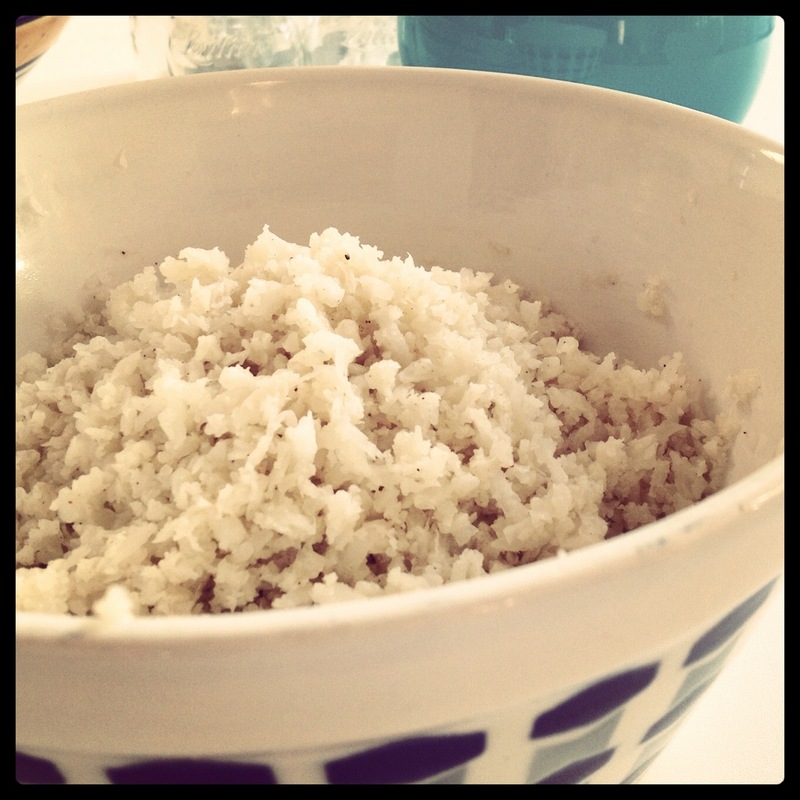 Put some coconut oil on a pan and sauté the rice, together with salt, pepper, cumin and nutmeg. The amount of spices depends on you and the size of the the cauliflower. 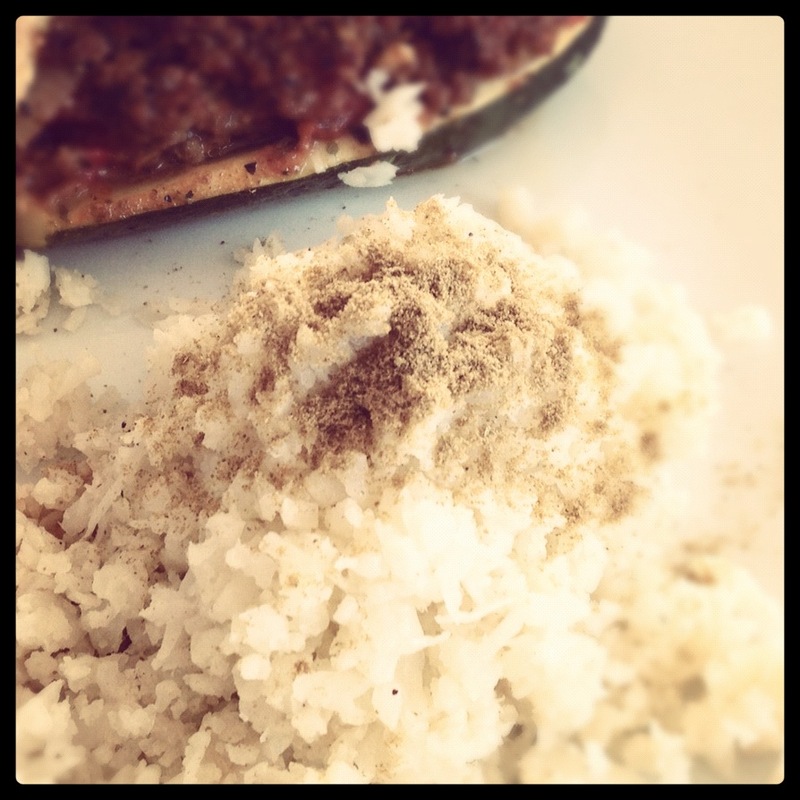 The cauliflower rice can be served with anything, today I chose stuffed courgettes.. This entry was posted in Soil on 02/12/2013 by tine.